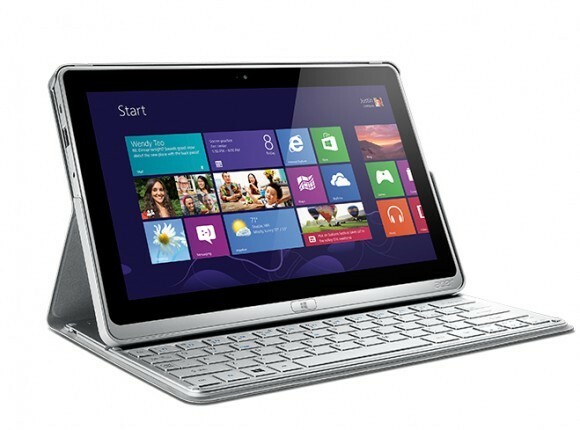 Acer is set to launch its next tablet, ultrabook hybrid, the Aspire P3. This new device will set you back at least $799.99 for the minimal model. It has an 11.6-inch HD IPS LCD display, Core i3 or i5 processors, and up to six hours of battery life into a 0.77-inch thick notebook. It can be flipped into a tablet, or have the screen mounted on the keyboard like a dock. It’ll also have an optional stylus and the casing has a slot to store it when you’re not using it. It includes a USB 3.0 port, HDMI, and a headphone socket, and there are Dolby Home Theater speakers and a 720p HD webcam on the front and a 5-megapixel camera on the back. You can get either a 60GB or 120GB SSD hard drive as well. It weighs in at 3.06 LBS and is set to go on sale immediately. It runs full Windows 8 Pro, not the scaled-down RT version.